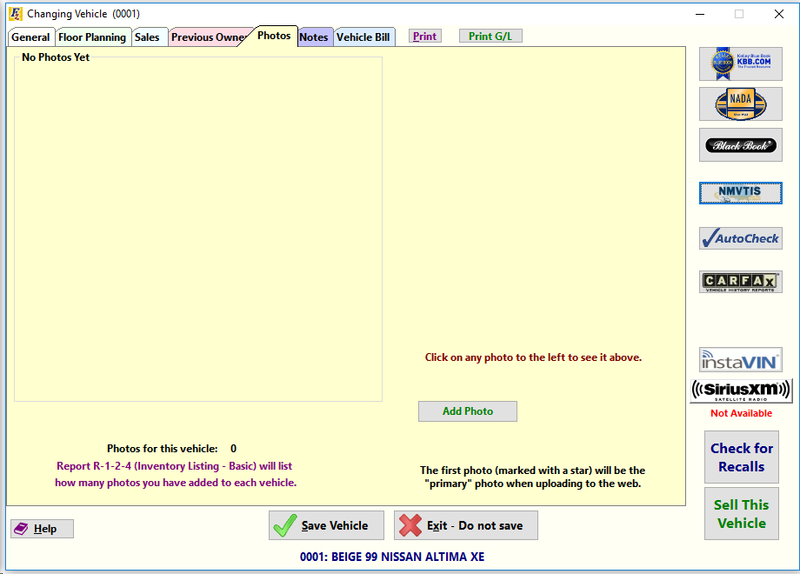 If you use Frazer to upload your inventory to websites, you can add photos of your vehicles into Frazer. Those photos will then upload along with the vehicles! 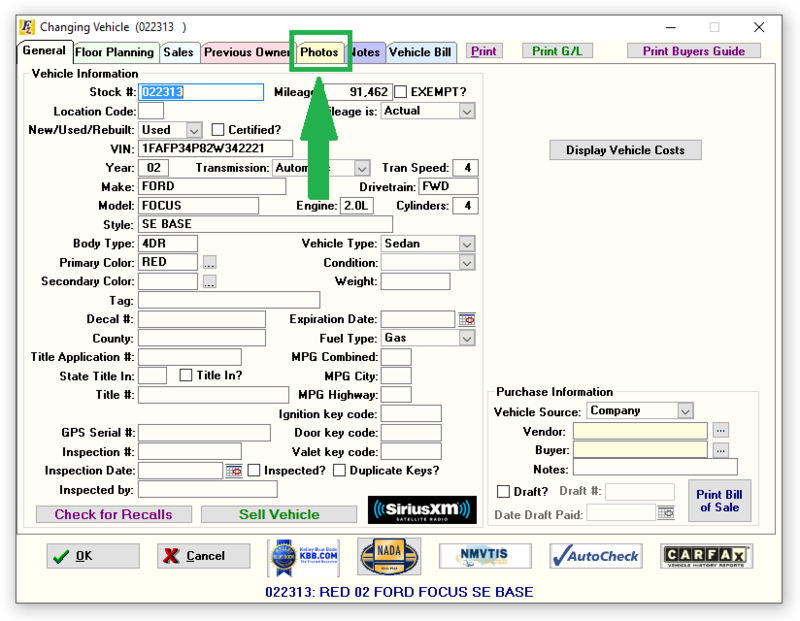 There's a 3-step process to attaching your photos to your vehicles in Frazer. - You can use any digital camera or phone/tablet to take your pictures. They'll be compatible with Frazer. - This process may differ depending on the type of camera you used. Typically, though, you can connect a USB cable to your camera/phone, and then to your computer. The computer will prompt you to import the photos. - From there, you just have to organize them and place them in an easy to find folder. 3. Add the photos to Frazer! - In Frazer, Click at the top to access your inventory. - From here, select the vehicle you want to add the photos to. Then switch to the Photos tab. 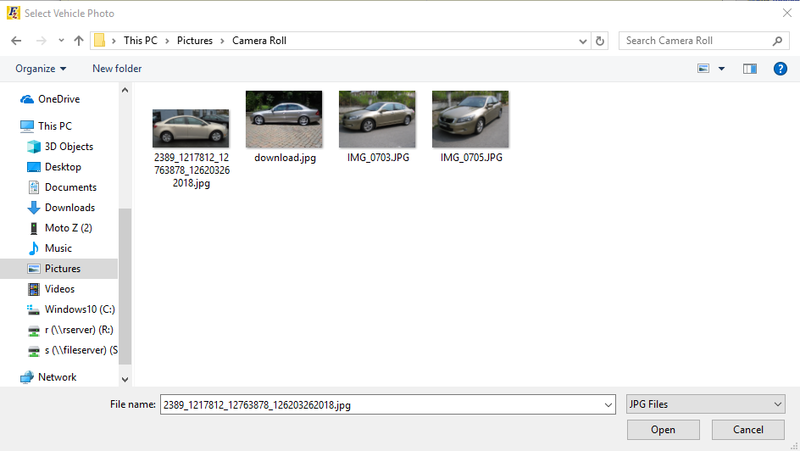 - On the Photos tab, simply click and find the file or folder you saved all of your pictures to. - Select each photo one by one, or select a group of them at once and click Open to add them to Frazer. - The Navigation Buttons on the bottom left allow you to reposition your pictures. They can be rather tricky to master. Then you can use the or buttons to move the photo one space left or right. The button allows you to swap your selected photo with the first photo on the page. This also resets the top left or "primary" photo that gets uploaded to your website. The button allows you to swap your selected photo with last photo on the page. For further questions, please consult the Vehicle Uploads/Photos Troubleshooting page by clicking the link. Or feel free to call Frazer at 888-963-5369. Our fantastic tech support would be happy to aid you.